SPRING: snow pea and radish salad, sautéed english peas with garlic and sesame, steamed new potatoes with chive oil, quick two-pea saute with basil and pecorino, roasted asparagus with fried eggs and parmesan. SUMMER: green beans with creamy tarragon dipping sauce, spicy okra stew, sautéed yellow pear tomatoes with arugula pesto and feta, spicy cucumber salad with roasted peanuts, marinated summer vegetables grilled on rosemary skewers, creamed corn with chipotle chiles. FALL: stir-fried broccoli with cashews and dark soy sauce, roasted beets with orange and herbed goat cheese, roasted acorn squash with chipotle and cilantro, caramelized cauliflower with honey and smoked paprika, glazed carrots with coriander, roasted root vegetables with indian curry and cilantro. WINTER: spicy roasted potatoes with cool yogurt dipping sauce, gingered winter squash with pear puree, braised mustard greens with pancetta and lemon, braised winter vegetables with coconut and red curry, individual swiss chard gratins. Pour the cream into a saucepan. Using a vegetable peeler, peel 2 stripes of lemon zest, each 2 inches long from the lemon. Set the lemon aside. Add the zest strips to the cream and bring to a simmer over medium heat. Cook the cream, stirring occasionally, until reduced by half, about 8 minutes; watch that the cream does not boil too vigorously. Remove the zest strips and discard. Remove any tought stems from the spinach leaves and rinse them well in a colander. heat a large frying pan over medium heat. Add the spinach, with the rinsing water still clinging to the leaves. Sprinkle with the sugar and toss well. Cover the pan and cook the spinach for 3 minutes. Uncover and toss the leaves well. 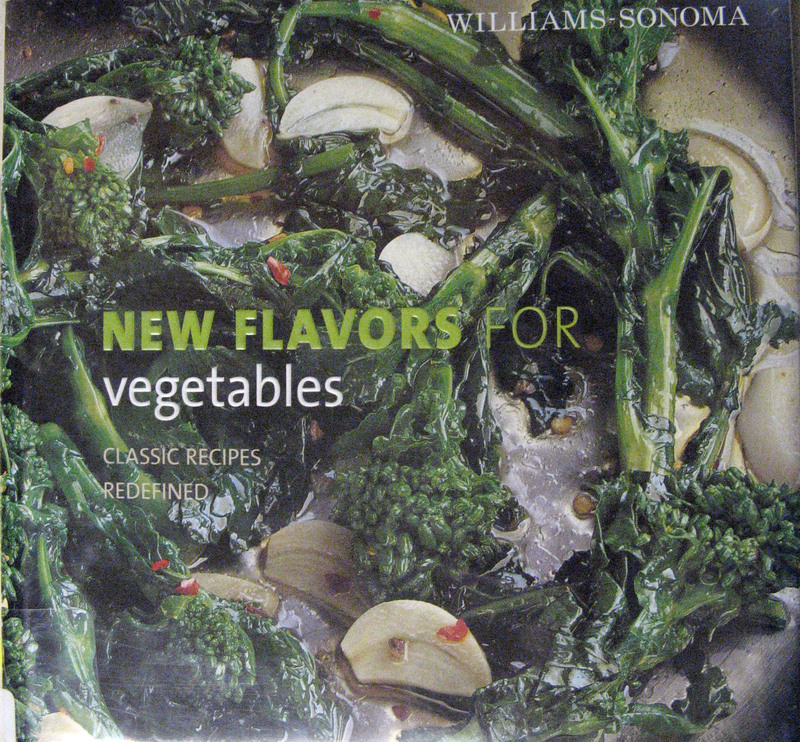 Continue to cook, uncovered, until the spinach is wilted and tender, 1-2 minutes. Place the spinach in a colander and, using a wooden spoon, press on it firmly to remove all the excess liquid. 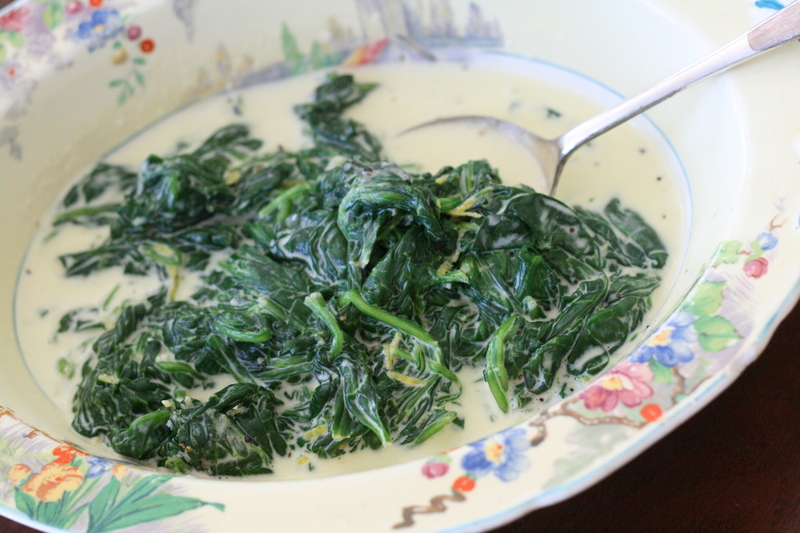 Chop the drained spinach coarsely and add it to the pan with the reduced cream. Finely grate the remaining lemon zest and add to the spinach (reserve the fruit for another use). Season the spinach with a pinch of salt and about 1/2 tsp. pepper and stir well to combine. Cook over medium heat, stirring occasionally, until just heated through, 2-3 minutes. Transfer the spinach to a warmed serving bowl and serve right away.